UPDATE, July 28, 2014: IMACS has completed the update of our AP® Computer Science: Java Programming course to include eight fully-elaborated labs that far exceed the minimum requirements of the College Board. IMACS’ Be Prepared for the AP® Computer Science Exam online course has been updated as well. Students who are enrolled directly through eIMACS in our AP® Computer Science: Java Programming online course receive free access to the Be Prepared course. Following a recent review of the AP® Computer Science A course and exam, the College Board has decided to replace its case study requirement with a requirement to complete a minimum of 20 hours of hands-on lab experiences. This change, which will take effect for the 2014-2015 school year, is being implemented to more effectively support student learning of core concepts in computer science. IMACS continues to follow closely all communications from the College Board, as well as discussions within the APCS community, on the forthcoming changes and will act accordingly. 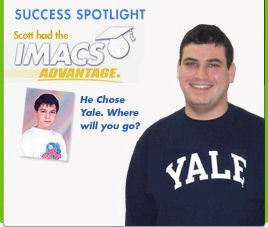 From the beginning, IMACS’s philosophy has been to emphasize computational thinking and mastery of foundational ideas in computer science. This approach is reflected in how our Curriculum Development Group has meticulously designed our CS courses and, more importantly, in the success our CS graduates find in college, graduate school and at top tech companies. 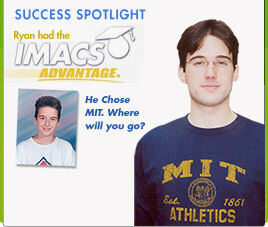 As such, IMACS fully expects that our AP® Computer Science: Java Programming course will continue to exceed, as it always has, all of the College Board’s requirements and remain College Board-approved. Since the 2007-2008 school year, AP® Computer Science A has used the GridWorld Case Study to reinforce lessons on object-oriented programming. * GridWorld provides Java code designed to simulate the behavior of objects (Rock, Flower, Bug and Critter) in a grid. Ground rules such as Rocks cannot move, Critters eat Flowers and Bugs move forward and turn 45 degrees if blocked are part of the initial set-up. Given these starting parameters, students then write additional code that extends these various classes of objects. A student’s understanding of computer science concepts in the context of the GridWorld code is then tested on the AP exam with one free-response question and a handful of multiple choice questions. In 2011, the College Board undertook a College Curriculum Study in which institutions of higher education were surveyed about the AP® Computer Science A course case study.^ Of the 117 institutions that responded, 91% said they were not likely to change their credit/placement policy for AP® CS A if questions on the case study were not included in the exam. About two-thirds of respondents rated the inclusion of a case study as not important or only somewhat important. This March, the College Board plans to release details of three sample AP® Computer Science A labs as examples of how the new lab experience requirement may be implemented. One expectation is that their shorter length will make the labs easier to integrate into the course curriculum throughout the school year. Teachers and curriculum developers will have the flexibility to include sample labs or other comparable labs at points they feel are most relevant and pedagogically effective. It is also expected that the sample labs will be more connected to real-world situations, perhaps increasing student interest in taking the course and studying computer science. Most importantly, labs are expected to support student learning of fundamental ideas in computer science. Whereas the case study questions on the current exam are tied heavily to the context of the GridWorld code, the 2015 AP® Computer Science A Exam will test a student’s understanding of core concepts that are reinforced by hands-on lab experience, not knowledge specific to any particular lab. As an educational institution that has always emphasized foundational concepts in CS over code manipulation skills in the programming language du jour, IMACS is pleased to see the College Board take this important step. Learn how you can give your child an unfair advantage in computer science. 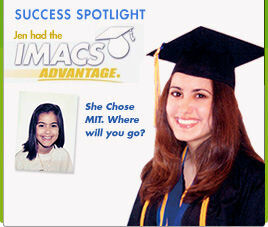 To find an IMACS teaching center near you, visit www.imacs.org. 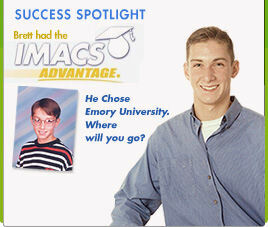 Talented middle and high school students can take university-level computer science online through our eIMACS distance-learning division. *For readers who may be unfamiliar with object-oriented programming, it’s an approach in which the programmer creates “objects” with specified attributes and behaviors as modular, reusable code. Like IMACS on Facebook to get FREE weekly logic puzzles.